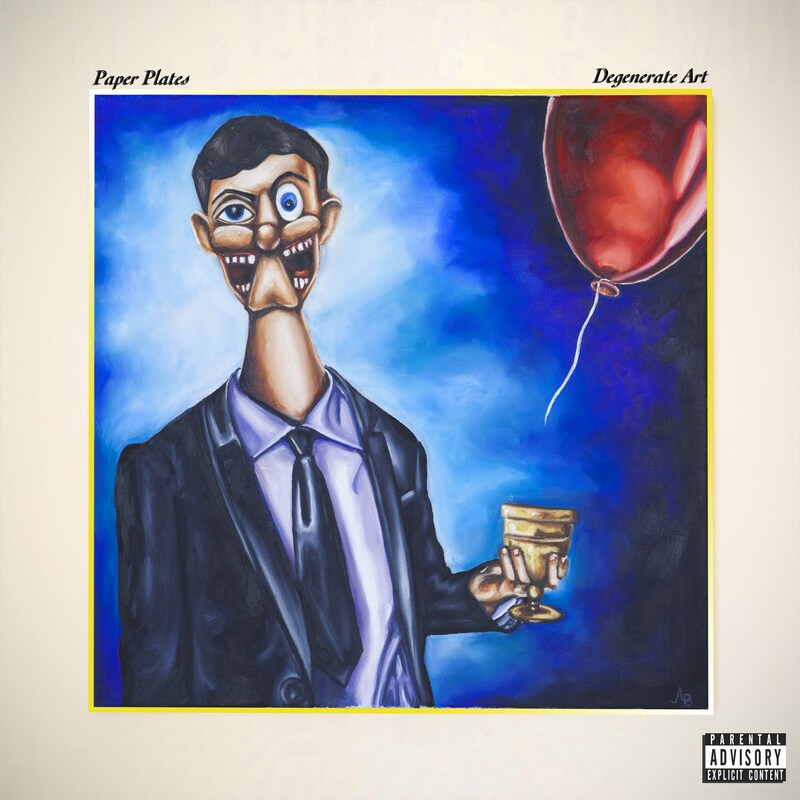 UK rapper Paper Plates is back on Earmilk, this time he's premiering his new EP Degenerate Art. This project is 8 tracks (well 7 tracks and a preface) deep and an accumulation of the collaborative efforts of Paper Plates and friend/producer Juna Cosmos. The concept behind Degenerate Art was the persecution of modern artists under the Nazi Regime, and throughout this EP they set out to comment of the current state of affairs in both the music industry and the art worlds. They do this effectively, from referencing the likes of modern day ‘celebrities’ s such as Kim Kardashian alongside the likes of Dante. Paper Plates unique style and flow is a perfect match for the beats the Juna has created, and he skips over each beat with ease throughout this project. All of the beats on Degenerate Art are original and produced by solely by Juna Cosmos, they all follow the same kind of trippy vibe which makes them a refreshing change, in a hip hop climate where the majority of beats are made for the clubs. Degenerate Art is a highly ambitious project that Paper Plates and Juna Cosmos have pulled off remarkably well. You can download this EP from Paper Plates Bandcamp, the link is below.